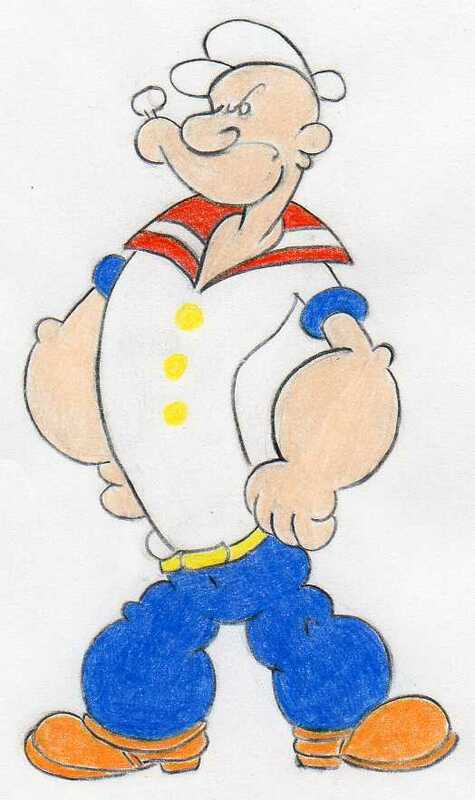 I show you how to draw Popeye in few simple and easy to follow steps. The same as other famous cartoon and Disney Characters, Popeye too appeared on cinema screens way back in 1929. It is nearly 100 years ago! Popeye certainly belongs among the famous classic cartoon characters. Tons of awesome animation movies were created at the time and all were made at the time using only pencil and paper. Popeye, a famous sailor who is getting his strength by eating canned spinach. 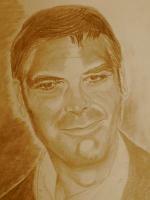 First, observe well this finished picture and try to imagine how would you draw it. Where would you begin? What would be your first pencil strokes? 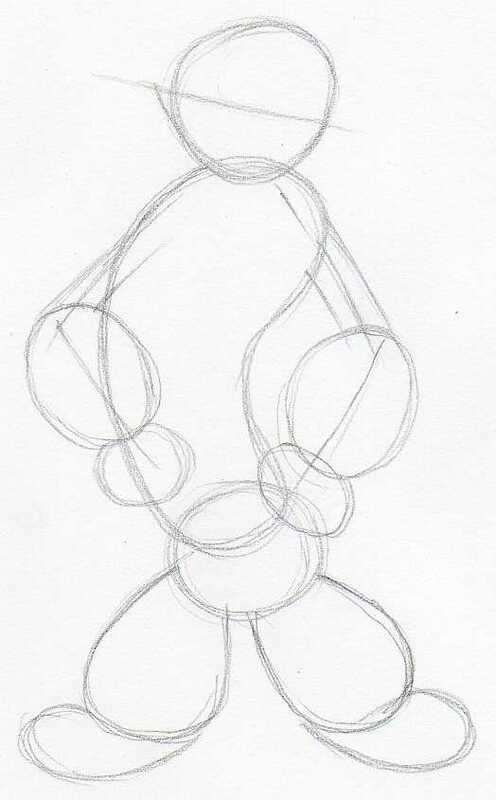 Sketch the basic shapes of the head, chest and the belly as you see on the picture. Popeye is comic character character and has a grotesque look therefore the body parts may seem out of balance at first. 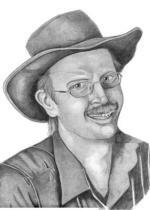 Continue the drawings and you'll see the the opposite is true. Outline the legs and sketch the position of Popeye's arms. Add other body parts by sketching ellipses and noodles. 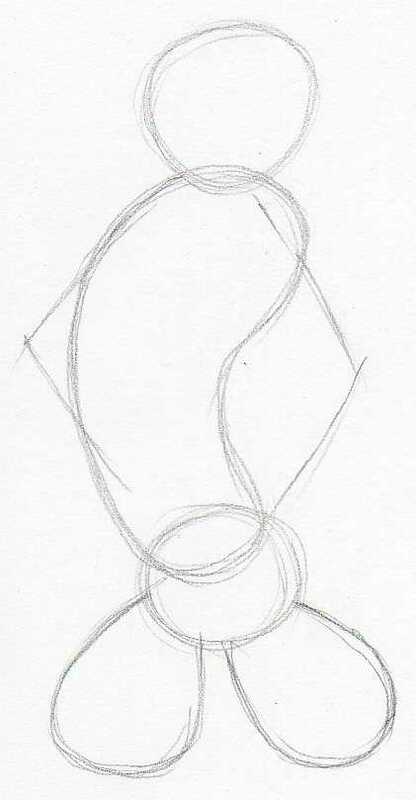 These are the basic shapes - guideline contours - that will help you to draw a perfect body shape later. 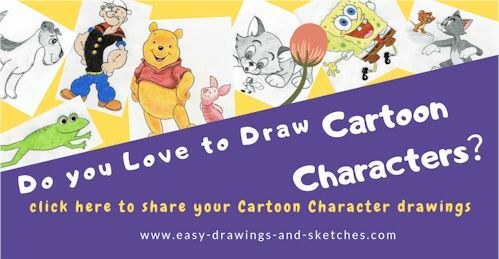 You'll learn how to draw Popeye the easiest way by adding one layer on another and creating a complete drawing quickly. Draw a center line across the head, this will be the guideline to draw well balanced face features. 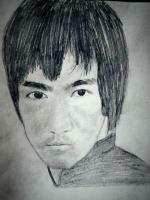 Now you can begin sketching the face. Draw the nose, the mouth, ears, etc. Sketch the contours of Popeye's arms and fists. Notice that the most remarkable and famous feature on Popeye's body is his thick forearms. 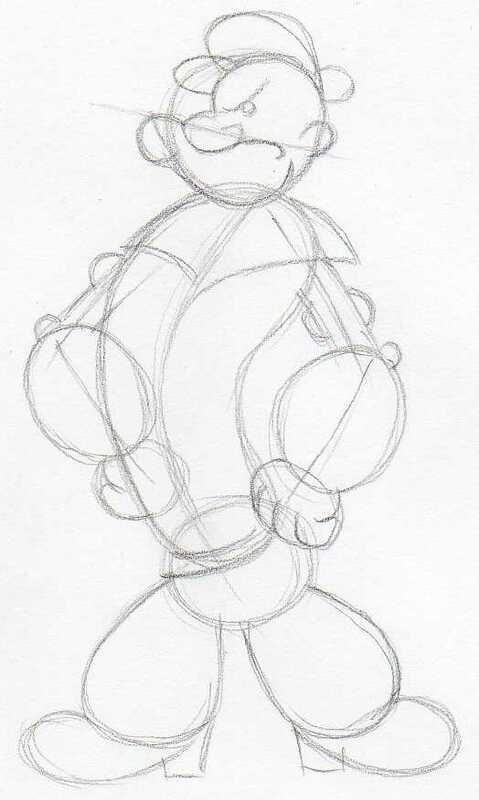 At this stage you have ready the Popeye basic rough sketch. If you made your sketch this far, then you are almost done and you have mastered and learned how to draw Popeye. All body parts at this stage should be proportionally well balanced to match the entire image o Popeye. 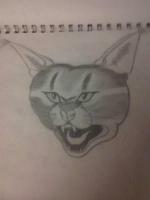 Now take a sharpened pencil or a mechanical sharp pencil and draw a clean and distinct contour line. While drawing the clean line, you can keep erasing the unnecessary pencil dust. 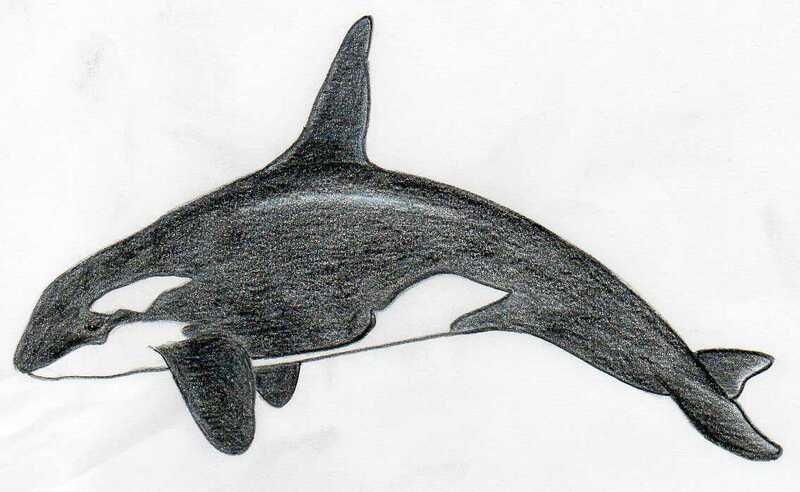 The best tool for this work is a Pen Shaped Eraser. 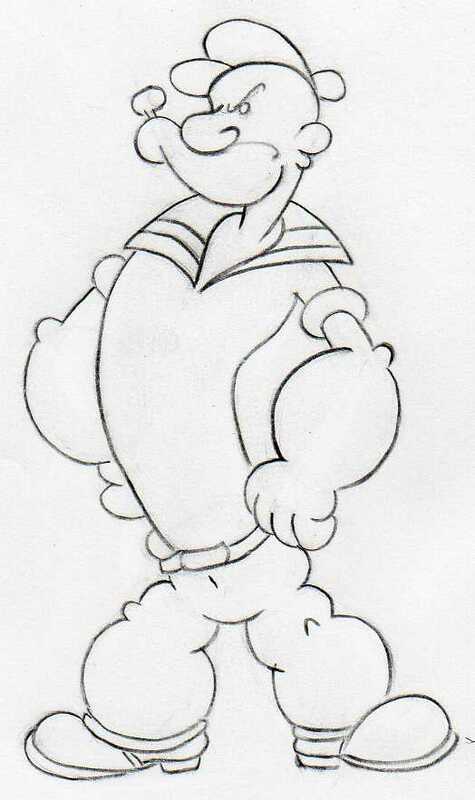 When you're ready, you should have a clean and crisp base for Popeye coloring page, something similar or possibly better than on this picture. Begin the coloring. First make only a flat layer of colors, no shading or darkening yet. It is sometimes challenging to match the right skin color. If you have difficulty with getting the right skin color, practice it on a separate paper in order to get the right tone by blending 2 or 3 similar color layers. Now is the time for final touches. When you colored all take a black pencil, sharpen it and draw one more time a clean and distinct contour all over Popeye's body. 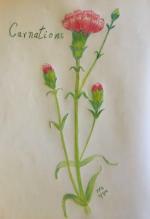 Observe well all details and draw them the same way or better. Always do your best to draw better because that is your goal! You have mastered and learned how to draw Popeye. Cool! 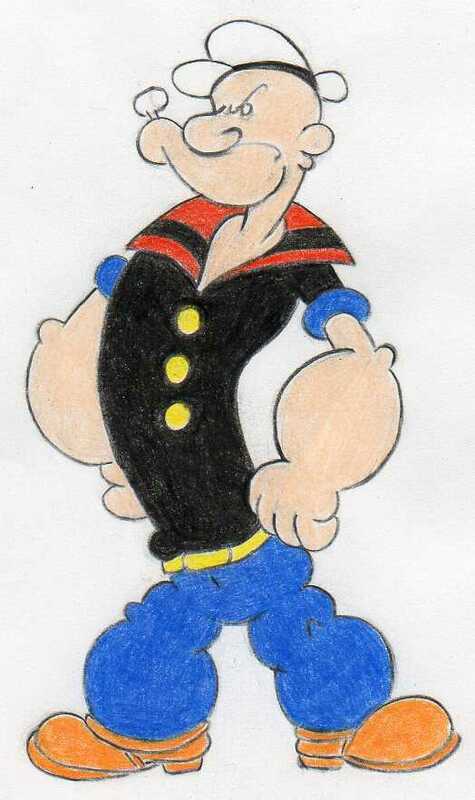 We all would love to see your Popeye drawing. Click the banner below and upload your drawing.